The tour of The Little Mermaid continued last week at the 2,700 seat Saenger Theatre in New Orleans. 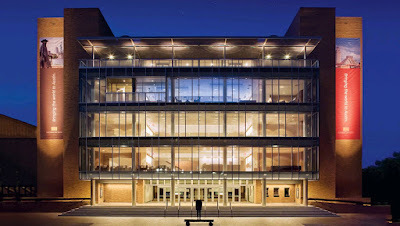 The theater had been dormant since hurricane Katrina struck in 2005. When the $52 million dollar restoration and tear-down began, the 1927 blueprints were found in an obscure closet and the theater has now been restored to its original glory. 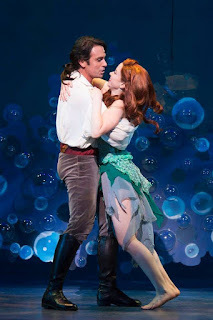 BroadwayWorld.com Review of Houston's "Little Mermaid"
"Alison Woods does a wonderful job as the lead in the show, and her singing and acting are up to par with memories of the original cartoon Ariel. 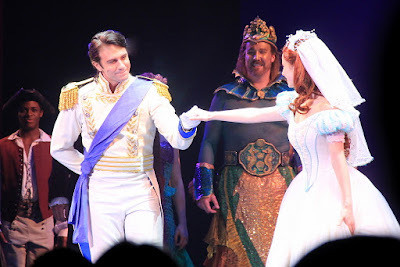 She is matched in tone by Prince Eric played by Eric Kunze who has a fine voice and sense of comedy that serves him well." Yes, this is a show that both kids and ADULTS can enjoy. The costumes, sets, special effects and even the pathos of the story between Ariel and her father, King Triton, are enthralling. I, (Maggi) have seen it over a dozen times in various venues and never tire of it. I'll be in New Orleans soon for the run Sept. 16-20. If anyone will be there for those shows and want to have a meet and greet with Eric, let me know at maggiwun@yahoo.com.